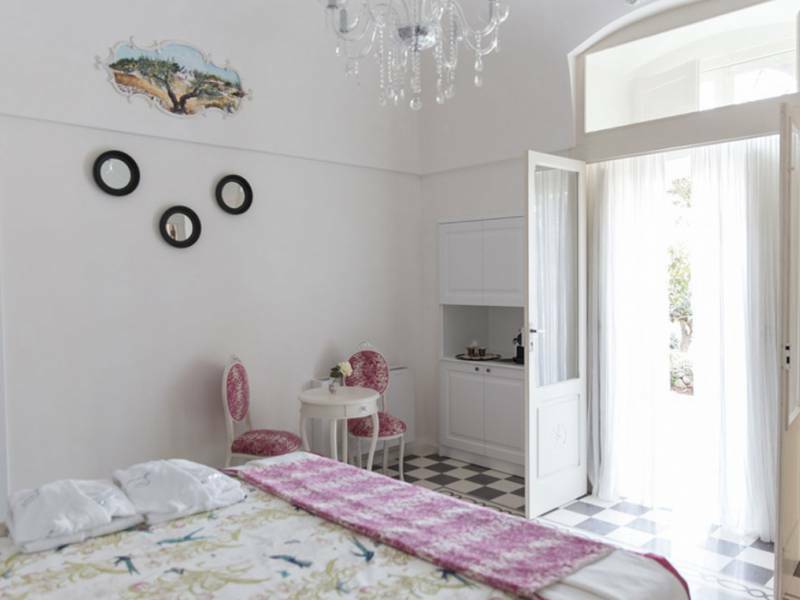 The south of italy is widely known for its hospitality and this agriturismo is no exception! While I was waiting for the owner I got a cappuccino and a piece of homemade lemon cake served in the garden of the agriturimo. Like this, I don't mind waiting! After our tour the owner also invited me for dinner at the agriturismo, later that evening. Unfortunately I did not have time because I was already on my way to my next appointment in Puglia. With pain in my heart I had to decline the invitation because I could already see myself sitting at the long table under the pergola full of tasty local dishes. Of all the agriturismos I have seen in Puglia, this is certainly one of my favorites. Not only because of the hospitality, but also because of the wonderful pool, the ideal strategic location and the beautiful rooms and suites built in traditional trulli. From the agriturismo you can easily visit famous places such as Alberobello, Ostuni, Martina Franca and even the beautiful city of Lecce you can visit in one day. The sea is just 15 km from the agriturismo. The agriturismo consists of two houses. One house is formed by a group of characteristic trulli turned into comfortable rooms, all with private garden or terrace. The other farmhouse of the agriturismo they were still restoring during my visit, but I could already see that it would be wonderful. This is a lovely traditional villa in Liberty style. Here are also a few rooms as well as the breakfast room. Next to the villa is a beautiful large swimming pool with sun loungers and pergola for some shade. One of the trulli serves as a restaurant. They prepare delicious Pugliese dishes with vegetables from their garden and other local products. On request it is also possible to do a cooking course. 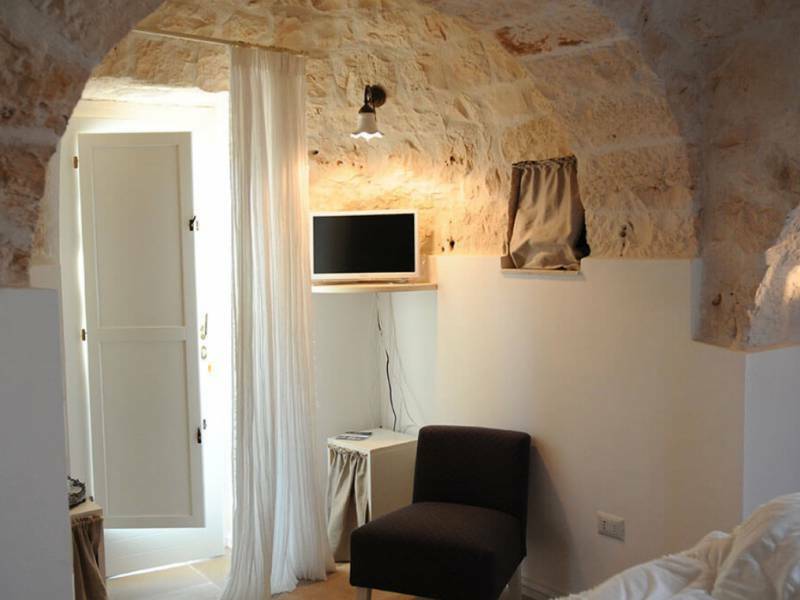 The rooms are equipped with air conditioning and that's great because the summers in Puglia can get hot. Wifi is available in the common areas. 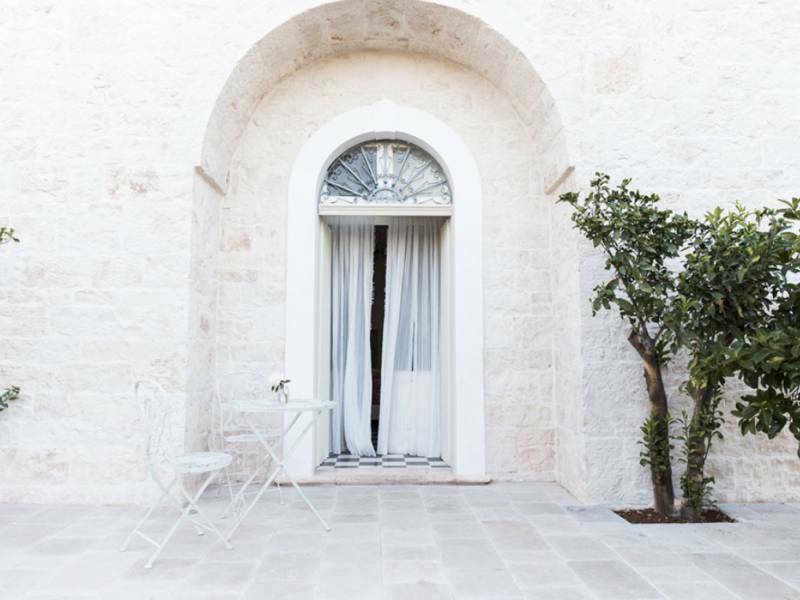 The trulli have some Classic rooms and Superior rooms, all with air conditioning, Nespresso machine and a private terrace or garden with sunbeds and private outdoor shower. 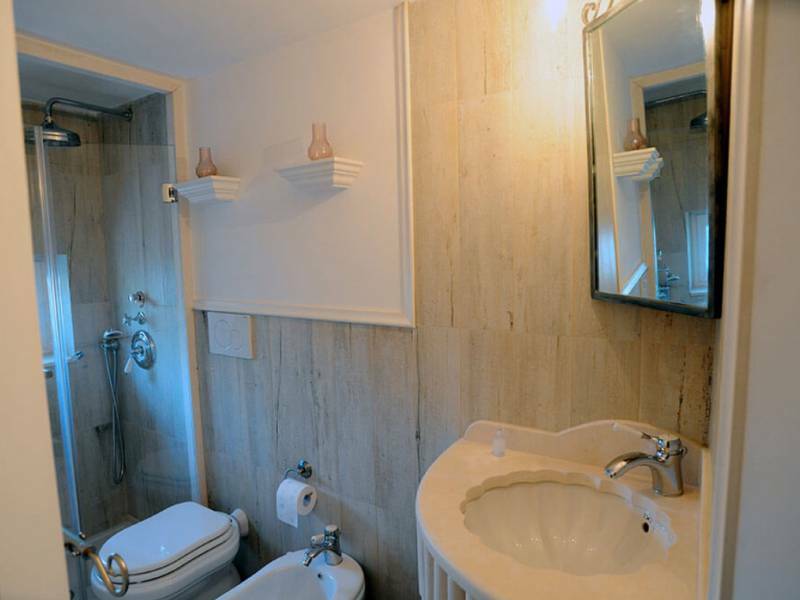 There is also a Junior suite and a suite with small kitchenette. 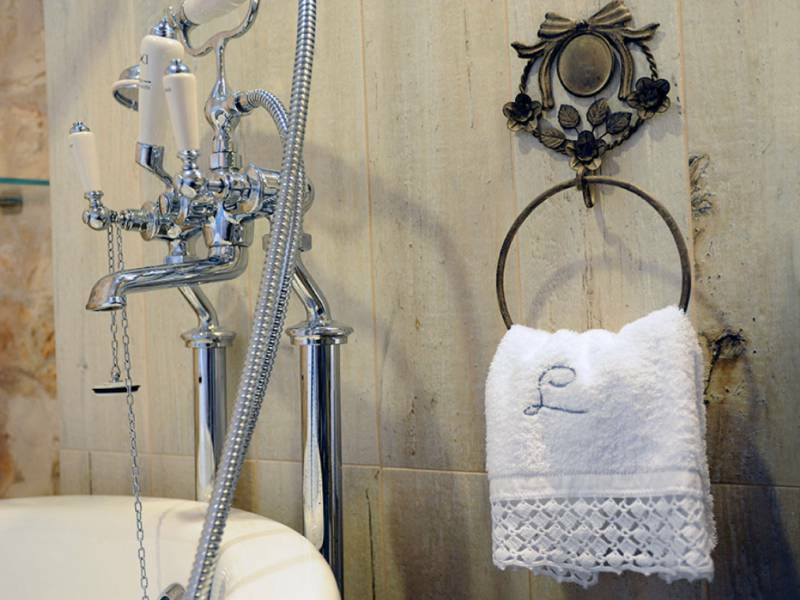 The rooms are comfortably furnished with luxurious linens, towels and bathrobe of good quality. 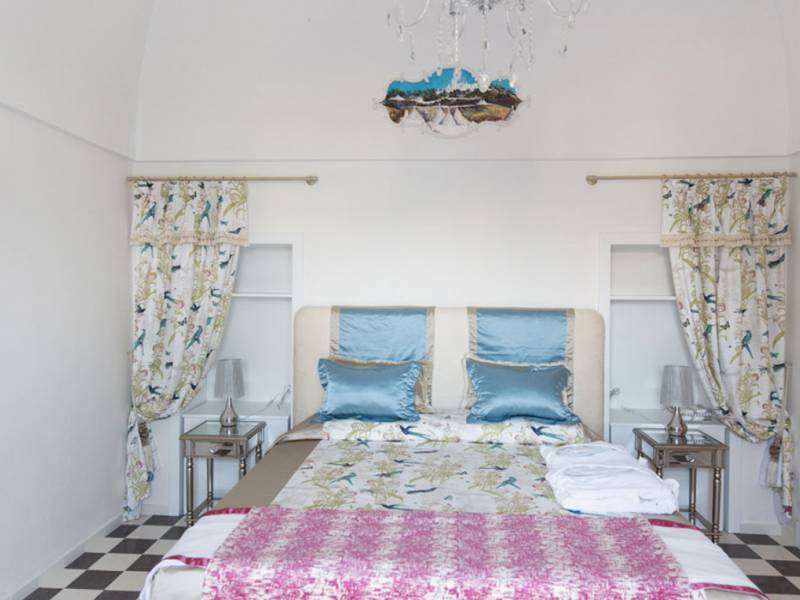 The new villa has 1 Classic room and 1 Superior room on the first floor with terrace and 2 Superior rooms and 1 Classic on the ground floor, also with terrace or garden. The Classic and the Superior room, on the ground floor, can be connected to create a Family room, with two bedrooms and two bathrooms. 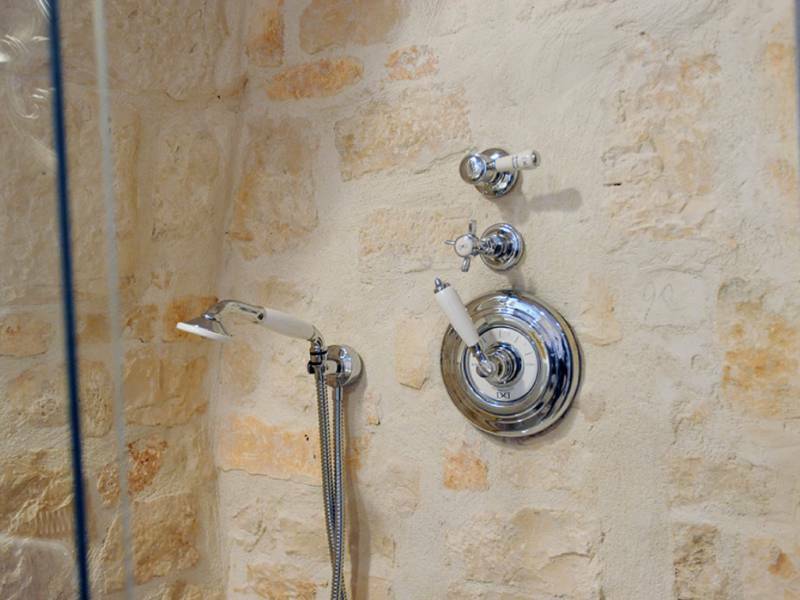 Very welcoming and strategically located agriturismo where you are staying in a comfortable trullo or elegant room in Liberty style villa. A must for those who want to discover Puglia and want to enjoy the local cuisine and southern Italian hospitality. 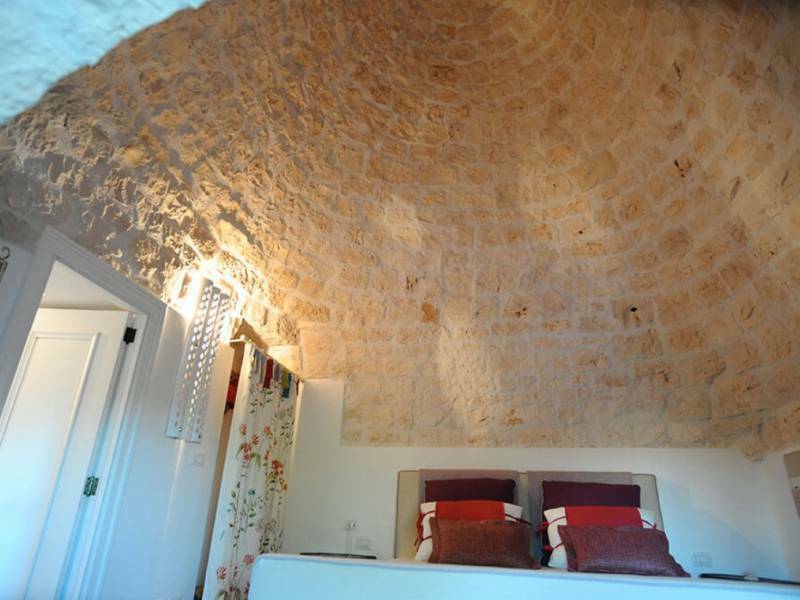 Room in characteristic Trullo with double bed and bathroom with shower. 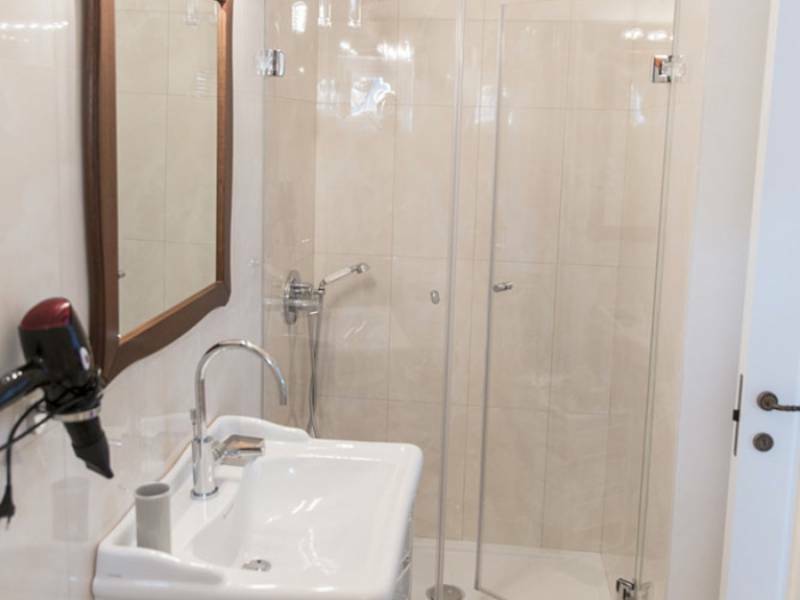 The room has its own garden with sunchairs and outdoor shower and is equipped with safe, air conditioning, heating, wifi, TV, minibar and hairdryer. Room in the new villa with double bed and bathroom with shower. 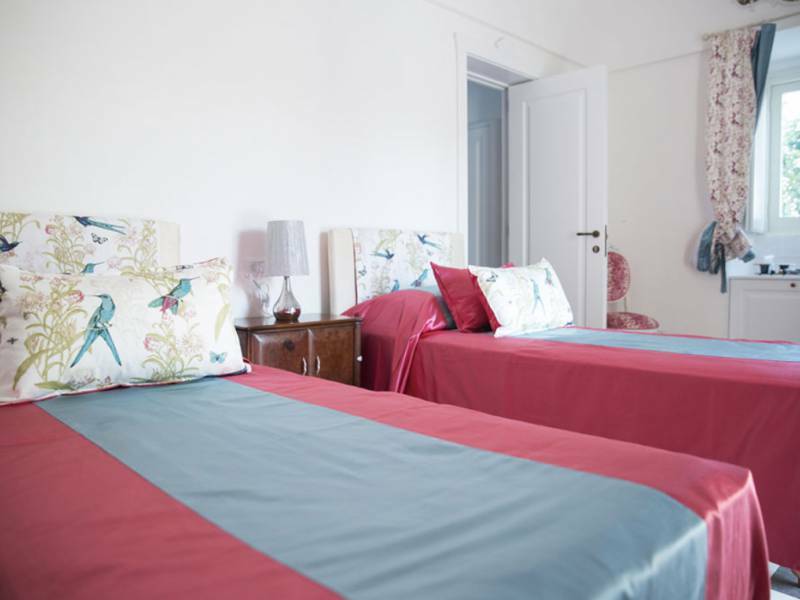 The room has a terrace and is equipped with safe, air conditioning, heating, wifi, TV, minibar and hairdryer. The room has its own garden with sunchairs and outdoor shower and is equipped with safe, air conditioning, heating, wifi, satellite TV, coffe machine, minibar and hairdryer. 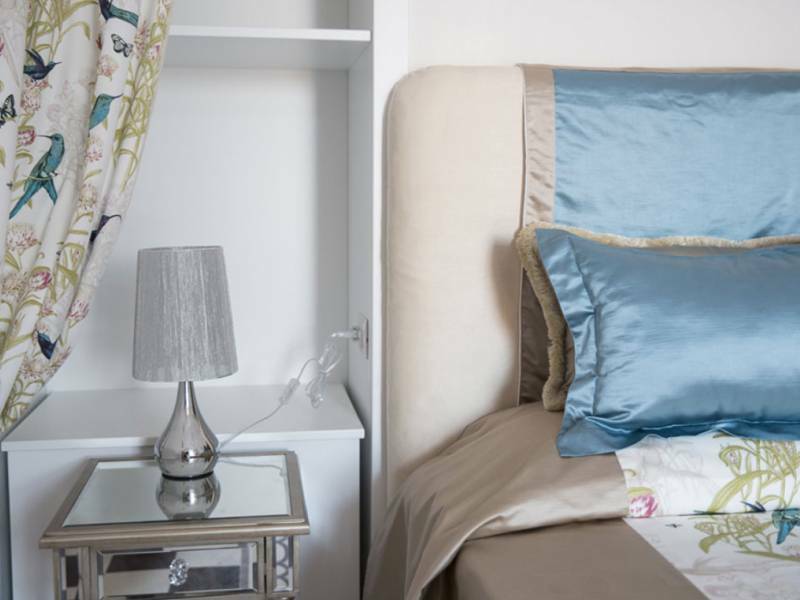 The room has a private terrace (or private garden) and is equipped with safe, air conditioning, heating, wifi, satellite TV, coffe machine, minibar and hairdryer. 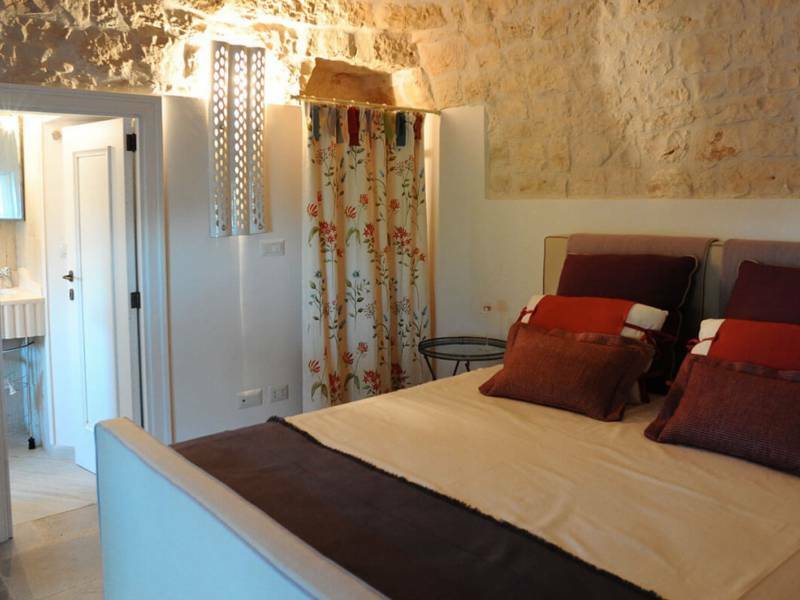 Room in characteristic trullo with kitchenette, double bed and bathroom. The room has its own garden with sunchairs and outdoor shower and is equipped with safe, air conditioning, heating, wifi, satellite TV, coffe machine, kettle, minibar and hairdryer. The room has its own garden with sunchairs and outdoor shower and is equipped with safe, air conditioning, heating, wifi, satellite TV, coffe machine, kettle, minibar and hairdryer. On request an extra bed can be added. Two connected rooms in the new villa: one with double bed and one with two single beds, two private bathrooms. The room has a private garden and is equipped with safe, air conditioning, heating, wifi, satellite TV, coffe machine, minibar and hairdryer. Restaurant is open six days a week for dinner (from 1st April).